This therapeutic body moisturizer contains Oatmeal, Jojoba Oil and Aloe Vera extracts, and Nubian Heritage's Shea Butter blend maximizes moisture retention and promotes healing. The Nubian Heritage African Black Soap line combines the ancient medicinal properties of black soap with the hydrating properties of Shea Butter to balance problem skin. 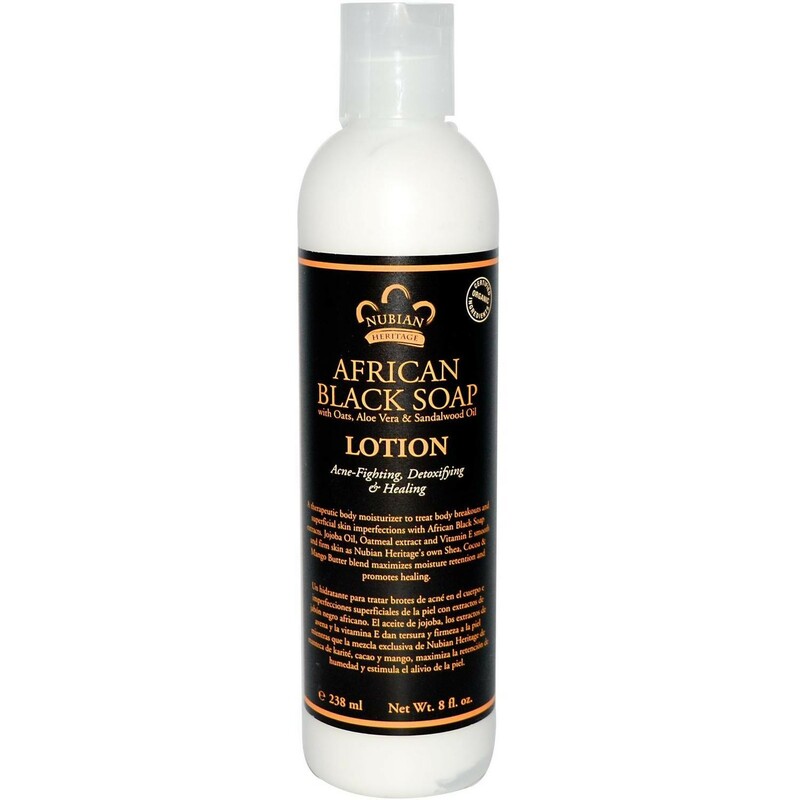 Our traditional African Black Soap recipe Contains palm ash, plantain peel extract, tamarind extract and papaya enzymes.